Need Quality Invitations FAST! Read on. So, you've decided to have that special party. Perhaps it's a special birthday for a close relative or friend. 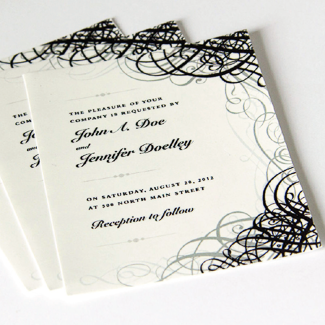 You came up with the perfect idea for the invitation and now all you need to do is find the perfect company to print it. QPS is your company. You need the invitations to be mailed out in the next two or three days but you don't want to spend a month's mortgage on them. Then let QPS help you make sure your event is a success.